These days, online courses for higher education are very much effective and among the best practices for learning. 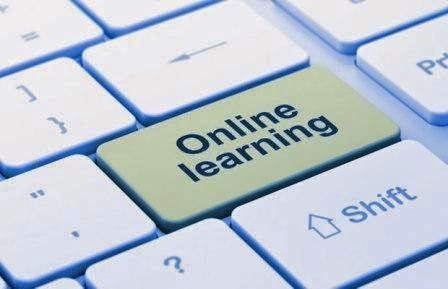 Internet based learning system is a good alternative for those people who are willing to improve their educational qualifications while working. These are proved to be best for housewives, working professionals and also for full time teachers. Online courses are more effective for master’s degree programs in management, entrepreneurship, or some other related training classes while for courses like science or engineering which needs a lot of practical work and laboratory tasks, these are less suitable. Here are some of the best habits for choosing an online course for your higher education. Keep these things in mind so that you can get most from it. Make a List - This is very important to make a list of all the institutions, colleges or universities offering best online degree courses. This way you can filter out them depending on your course selection and other educational services offered by the institutions. Check Course availability - Never compromise for course of your choice and interest. Make sure that the course or subject specialization that you are looking for is available there or not. It is highly recommended that you should choose the online learning course at which you can do your best. Checks for Accreditation – There are enormous number of online course providers. Before enrolling for the online distance learning course, you must check whether the institution or the educational body is recognized or not. If you are looking for best online MBA course program, then you should check whether the program is accredited by International Association of Commonwealth Universities. As you master’s degree in MBA should be globally accepted. Ease of Access – As everything in online learning courses happen through web based learning platform. So, you should be aware of the technology and aspects of online learning. The online course material and the platform should be easy to use and learn. You should have enough resources to get access to the learning course. Ask for support effectiveness – While you are enrolling in some online learning program such as online BCA courses, you should ask the institution’s authorities that how effective is their help and support services. As, in case of any trouble related to course access or subject learning, you will have to get help from support team. Reasonable Course cost – Some online management course provides charge too much for their program. You should inquire different institutions for the course fees to check whether the particular educational body that you are enrolling for is offering the course as reasonable fees or not. If your course fees stay out of your pocket, then you should know how to earn your course fees while studying in same institution. Further you should be dynamic and ready to learn through online course. Give proper time and concentration to your course as these online programs requires your 100% efforts of learning to make it a success. Incredible substance, I truly liked the insign you carry to the theme, stunning stuff.